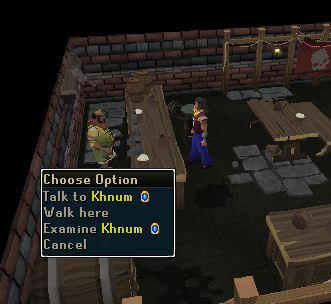 To start this quest, speak to Ozan in Draynor Village. This quest involves looking for a friend of his whose fallen into the wrong hands. 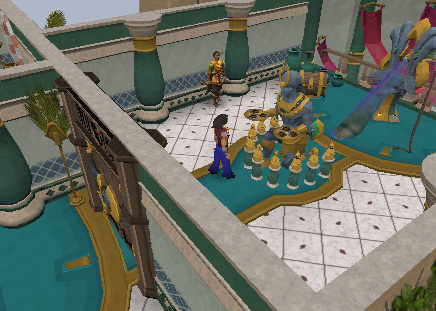 You will steal and enjoy the view of graphically updated Al Kharid. Make sure to turn your sounds on, because this quest is fully voiced. 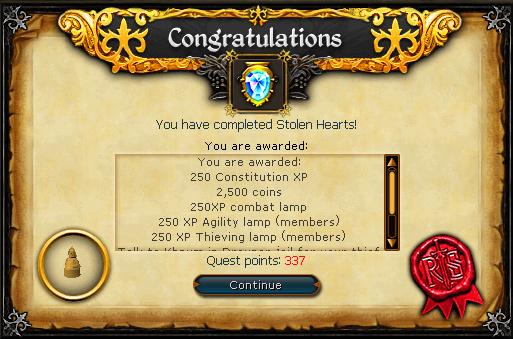 This quest is available to all players and was released with the Al Kharid graphics update. Members are able to complete the slightly more difficult second part, Diamond in the Rough. Ozan is concerned for a friend and requests assistance in finding out exactly what trouble he friend is in. But there's more going on than just an old friend being in way above his means, and both you and Ozan must get to the bottom of it. 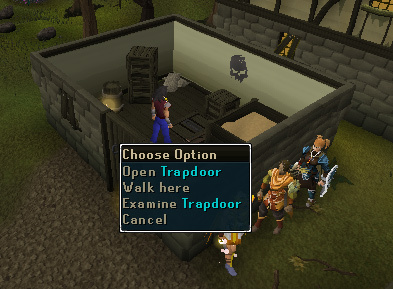 Speak to Ozan, hiding between the houses in Draynor Village. 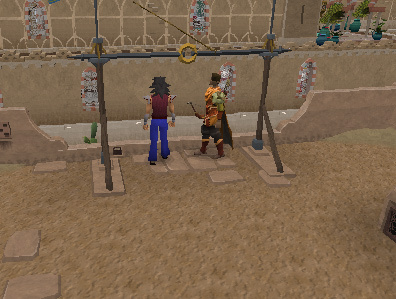 You can find Ozan north in Draynor Village, south of the crafting house. He will tell you the situation and your first task will be to go into the cellar near Ozan's house and knock on the trapdoor. You are looking for Khnum, the owner of a gang called The Skulls. These are the hands that Ozan's friend fell into. 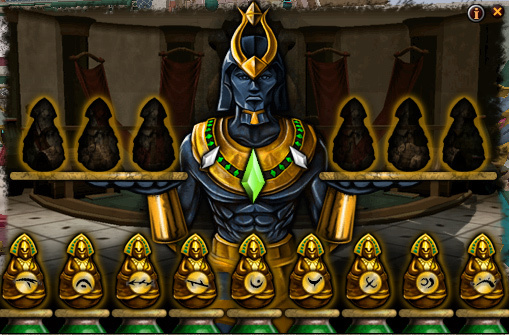 A short dialogue will start between you and Khnum and you will have to choose a reply. Threaten to poke his eyes out if he does not let you in. You are now in the headquarters of The Skulls. The next step will be initiation. Talk to Khnum and he will administer a test. You can choose whatever answer you want, but you will be given a title name at the end based on your answers. After initiation, find out more about the gang by speaking with Khnum and return to Ozan afterward. Your next objective will be to follow Khnum to find The Skulls' headquarters. Ozan will instruct you on how to follow Khnum. It involves stealth and making sure you aren't too far or too close to Khnum. He will walk around in an unorganized fashion from the house to the west and around Draynor until he reaches the headquarters. 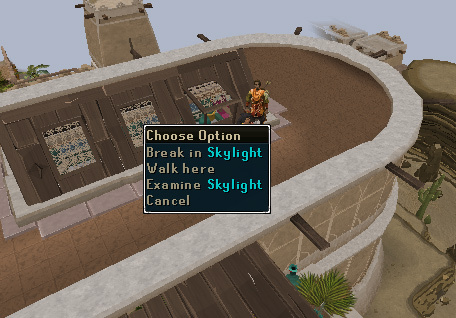 You and Ozan will meet him after tracking him to the deserted jail east of Draynor. Enter the jail and a cutscene will start between you, Khnum, Ozan, and Leela. 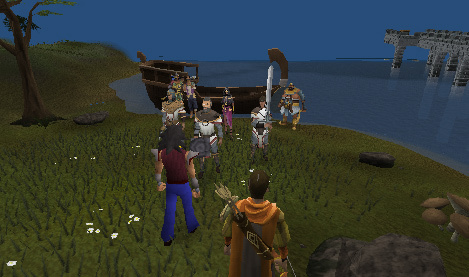 This is a lengthy conversation, but at the end you will learn that there is a plan to kidnap Prince Ali by means of a ship located on the southern shore of Draynor Village. The ship is located east of the bridge that leads to Wizards' Tower. Speak with the mercenary named Lady Keli and another cutscene will begin. She will leave and you will have to fight the low-leveled mercenaries. Ozan and Leela will teleport in and help you fight them. Take the ransom note. Leela will tell you a pass phrase which you should remember. If you feel like you may forget, put it in your notes tab. You will then have to meet Ozan in Al Kharid. After talking with Ozan, go into the palace. The guard will not let you enter. You and Ozan will have to think of a plan. Climb onto the roof of the crafting store located northeast in the city by going up the stairs and then up a ladder. Walk across the plank and go down the awning. Walk north through the innocent civilian's house and then across the clothesline to the west. Go up the ladder to the west, walk across a little plank bridge, and up another ladder on the south side of that house. Leap from the scaffold to the west and climb down a rug to the south. Swing across a wooden frame that looks like monkey bars, and jump from another scaffold. Jump across the awning and land on top of the bank. Climb up the bricks and click on the flagpole that says "Leave it to Ozan". Ozan will fire a rope at the palace. Make your way across the rope and climb the bricks. A cutscene will start with Jabari, a Menaphite, is negotiating to put a Menaphite ruler in charge of Al Kharid after the Emir. The Emir and Osman talk about the kidnapping and The Emir warns that Kharid-Ib cannot leave Al Kharid and Ali must be returned. Attempt to climb the bricks again and go through the skylight and into the palace. A short conversation will start. When that's finished, open an ornate chest to receive History of the Kharid-ib. It turns out the scrolls relate to the Het scales. You will have two attempts at finding the heavy weight. Drag any 2 sets of 3 weights to both sides of the scale. If one side is heavier, that is the side the heavy weight is on. 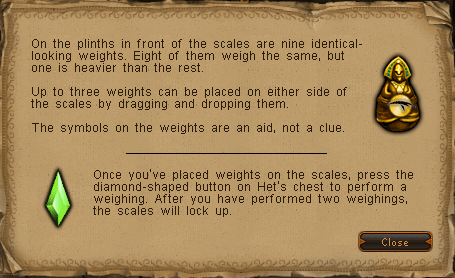 If both sides are the same weight, it means you didn't pick up the heavy weight yet, and it's still on the bottom row. There is now a 1 out of 3 chance of getting it right if they're still the same weight. Switch out one of the weights on the left with one on the bottom, and one of the weights on the right with one from the bottom. You will have successfully narrowed down which weight is the heavy one. After you believe you've found it, click on the display to the south of the room. A cutscene will occur. This is where you will use the password Leela gave you. Hopefully you either remembered it or wrote it down, as explained earlier in the guide. If you really don't remember, and get it wrong three times, you will still succeed in the quest. You will explain the situation to Osman and give the diamond back. 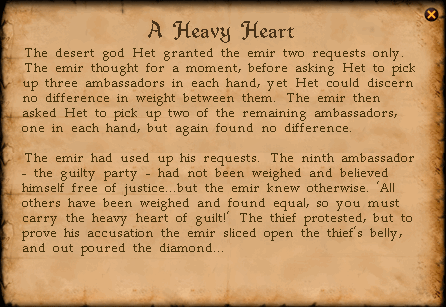 A cutscene with The Emir will start and he forbids taking the diamond. Whatever chat option you choose in this cutscene won't matter, and The Emir will die near the end of the conversation. A final conversation with Osman grants yourself and Ozan free and Ozan is now a citizen again.